Ruhr boom bang - Essen, Deutschland - THE LINK – Stadt. Land. 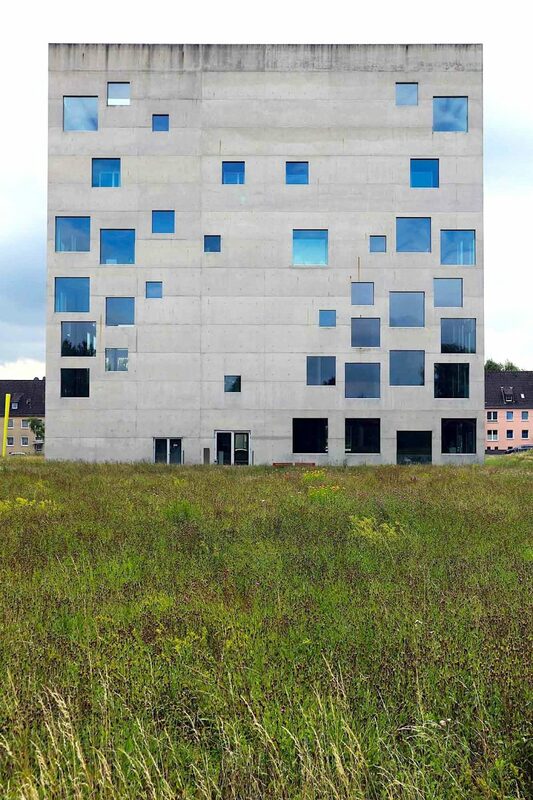 Architektur. Essen. Deutschland. Advertisement. 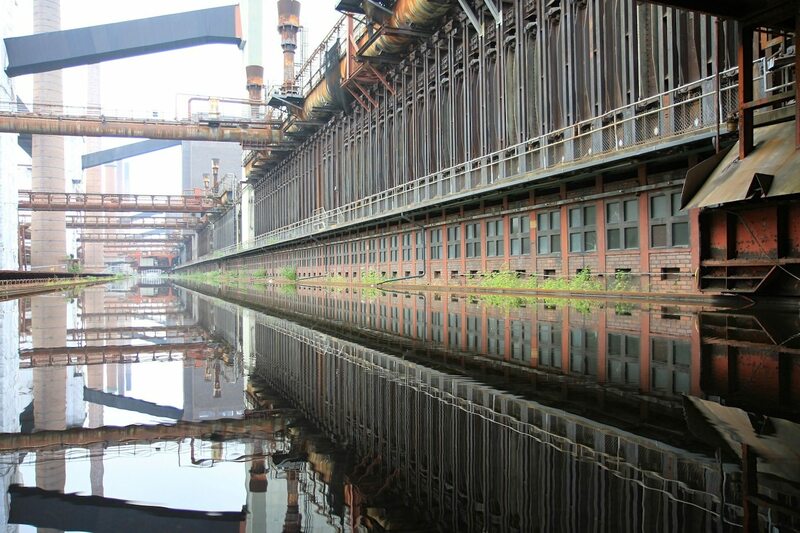 The Industrial Heritage Trail ("Route der Industriekultur"), a path through important sites for the Ruhr’s industrial history, is 400 kilometres long and features 25 "anchor points", 17 panoramas of the industrial landscape and 13 settlements from different eras. 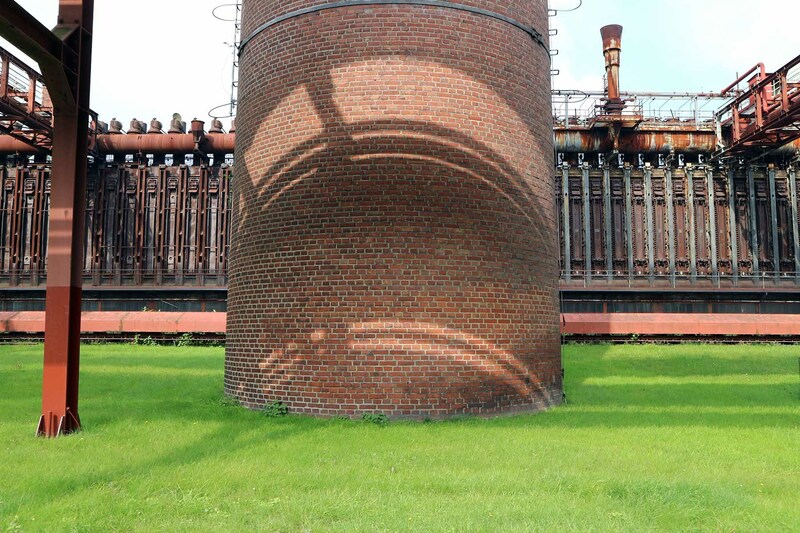 We have concentrated on one part of this large cultural and artistic space, and start our architectural journey in pictures with the Zollverein Coal Mine, that world heritage star. Part 2 shows other mining operations and landmarks. With Part 3, we go up to the slag heaps, with their spectacular views and science-fiction installations. On our tour through a part of the Route of Industrial Culture, we were on these sci-fi slag heaps, in the Edelzechen and High Tech Museums. The landmarks, renovations and parks are the result of far-sighted planning, courageous (building-) politics, fantasy-filled designs, the great patience of the participants and the people’s desire for change. One can hardly believe that just a few decades ago, this was a ruined corner of the republic. 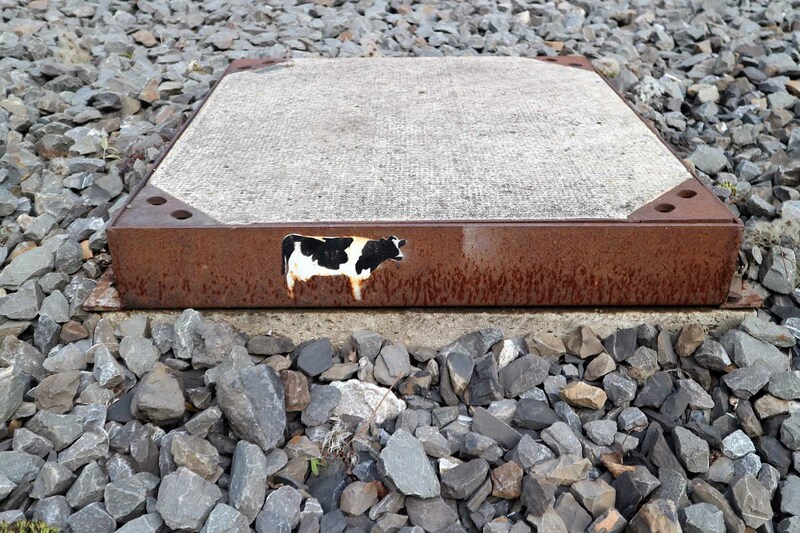 Relics of the once-proud coal and steel industry now stand here solemnly. 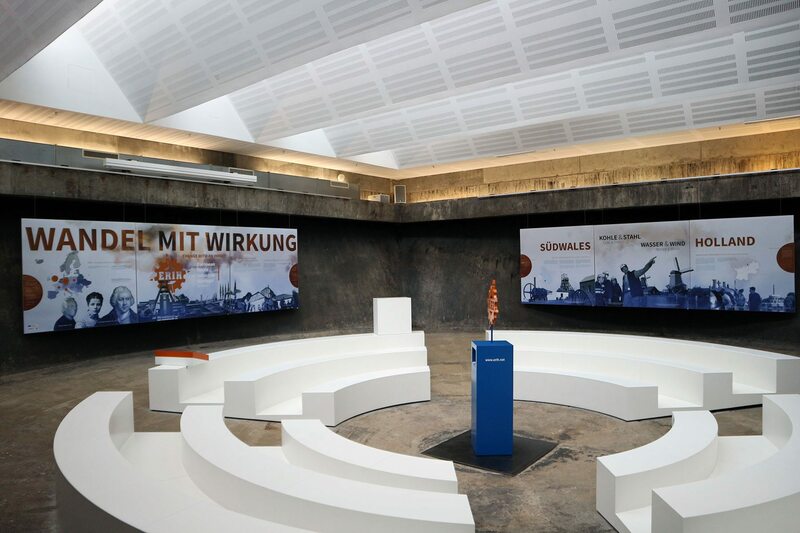 Anyone who visits the old gasometer, support towers and blast furnaces in the Ruhr city for the first time will also encounter the stories of proud grafters and other epics from the mines. Naturally, the structural change was not implemented in just a few years, but rather took decades, and wrought mass unemployment, desertification and poverty. 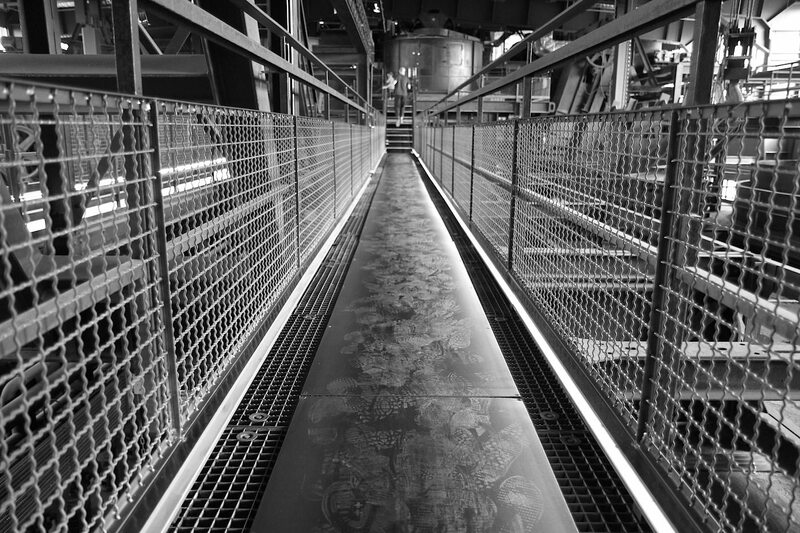 Of course, today, these witnesses of the 150-year industrial past of the Ruhr have been renovated and changed—and they are impressive. Happily, the old production sites are no sterile, museum-like monuments to industry, but have rather been reinterpreted, modified and altered. Perhaps that’s why there is also no sense of melancholy, at least none that I noticed. Because the profound upheaval is in no way concluded, and the problems of the region cannot be polished away with renovations and conversion measures. Nevertheless, milestones—like the International Building Exhibition IBA Emscher Park from 1989-1999, the branding of the cultural capital city Ruhr.2010 and the REGIONALEN have created important impulses for new definitions not only for the old industrial systems, but also for the identity of an entire region. Instead of a city of ruins, it’s “Ruhr Reloaded”. The mining industry is dead, long live the Mountain-Park. The new-old systems have developed into lively cultural spaces, to which fitness buffs cycle in summer as well as in winter, art history wonks make pilgrimages, and families flock. These spaces offer great views of this city landscape of 5.2 million, impressively illustrate the industrial-cultural world, and bring together nature, culture and the city. Where people once toiled and the earth was a crater landscape, now futuristic giant installations are exhibited, concerts are staged, and weekend athletes work off their office pounds. 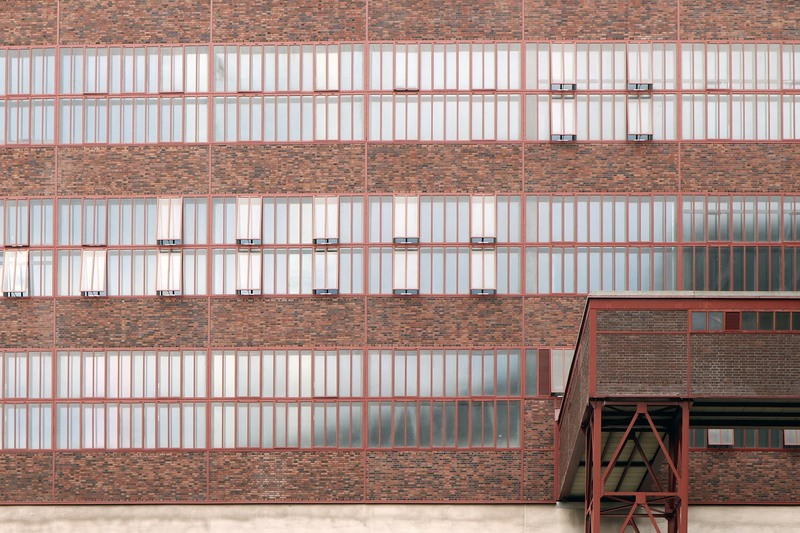 On our tour through a part of the 400 kilometre-long Industrial Heritage Trail with its 25 anchor points and 17 panoramas, we have followed special architectural, building-cultural features. 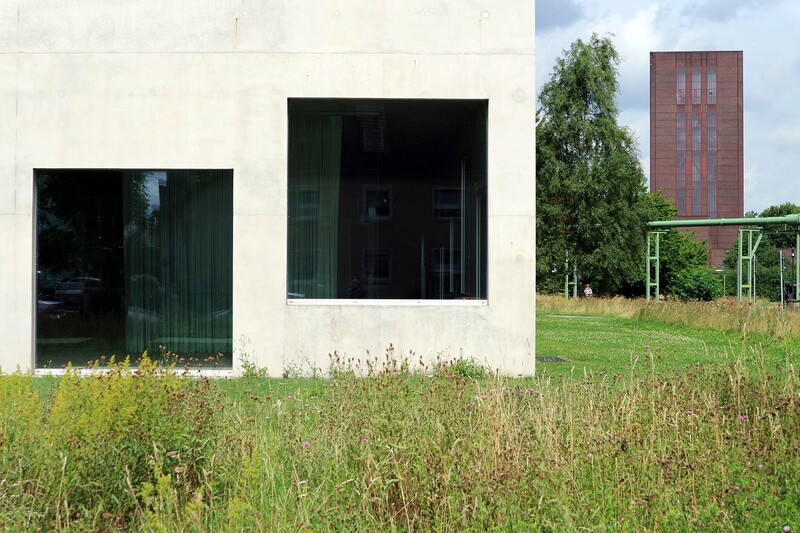 Sometimes, though, we included what we simply liked of this Ruhr Valley mixture of historical monument idylls, mining reminiscences and shaped urban landscapes. This coal-district mix succeeds in bringing a contemporaneity to the cultural spheres and in grounding Planet Ruhr; the noise of the nearest busy street is guaranteed not to be far away. It is this sound of the route, its powerful installation fantasies, the references to a history full of glory and privation and the effortful struggle for an identity, that truly makes this area into a sci-fi park. Or, as one might say here: Listen, we’re headed for the future here – with a bang! 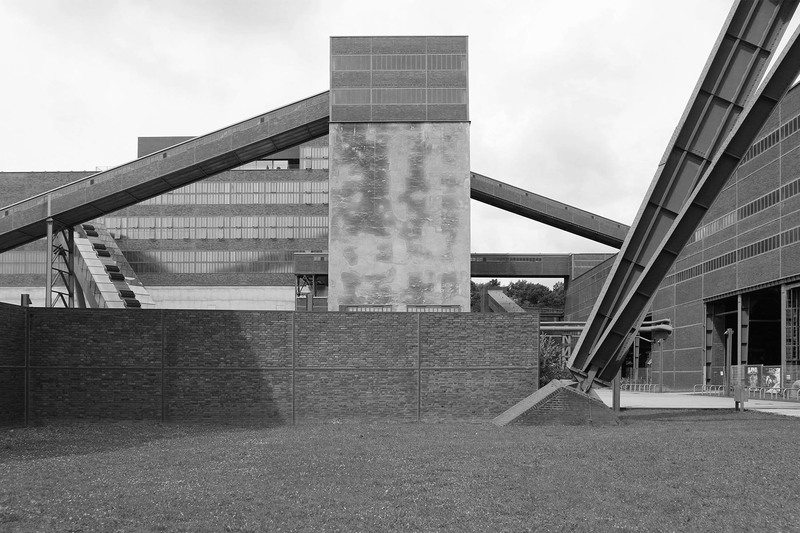 Fritz Schupp and Martin Kremmer are the only German architects whose buildings had two world heritage site listings in a row: the Rammelsberg Mine in Goslar – a world heritage site since 1992 – and the Zollverein Coal Mine, a world heritage site since 2001. This world heritage site is absolutely superlative. 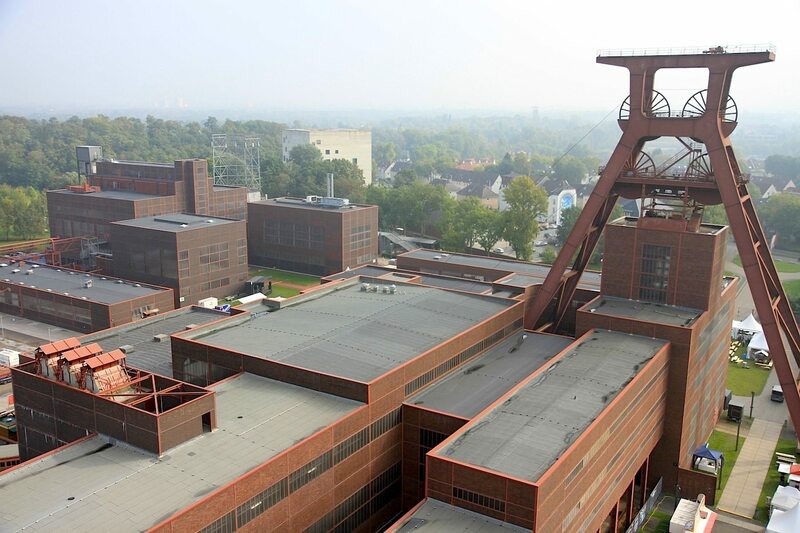 The largest preserved mine in the Ruhr region combines the work-, production-, and living worlds of mining like no other. The former Zollverein Coal Mine in Essenes Norden stretches over multiple parts of the city. From its foundation in 1848 to its closure in 1986, it was one of the largest, most technologically modern and architecturally elaborate mines of the coal district. The Zollverein is the ultimate symbol of Ruhr mining construction and a built document of the German industrial and mining history, influenced significantly by engineers and architects. Today, the area consists of 5 pits with 12 shafts. Shaft 12 was built between 1928 and 1931, to process the coal from the other 4 pits in a central location. As representatives of the New Building, the architects Fritz Schupp (1896–1974) and Martin Kremmer (1894–1945) came up with the idea for a functional design that left room for flexibility. Despite the complexity for the requirements of a large mining operation, the extent of the area and the enormous size of the building, the symmetrical organisation of the buildings is still distinctly recognisable, with clear visual axes. 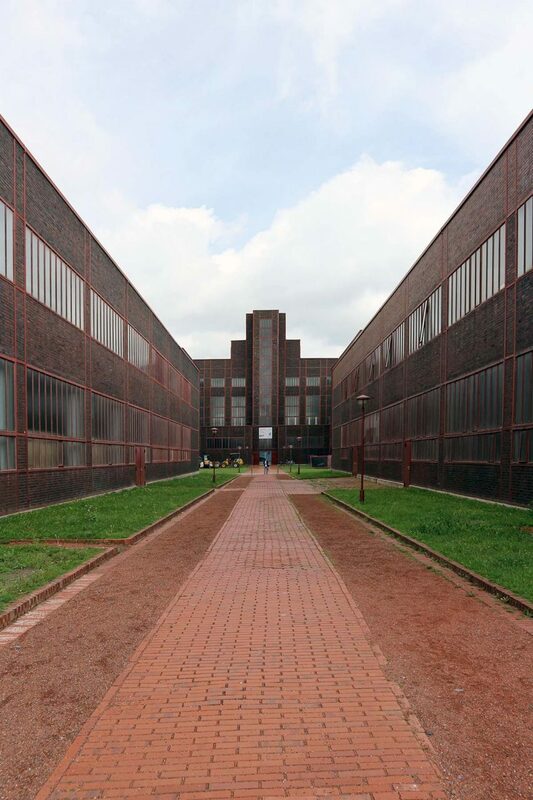 A total of 20 buildings illustrate the coal mining sequences according to the Bauhaus principle of "form follows function”: they are free of ornament, rational and thought out in great detail. 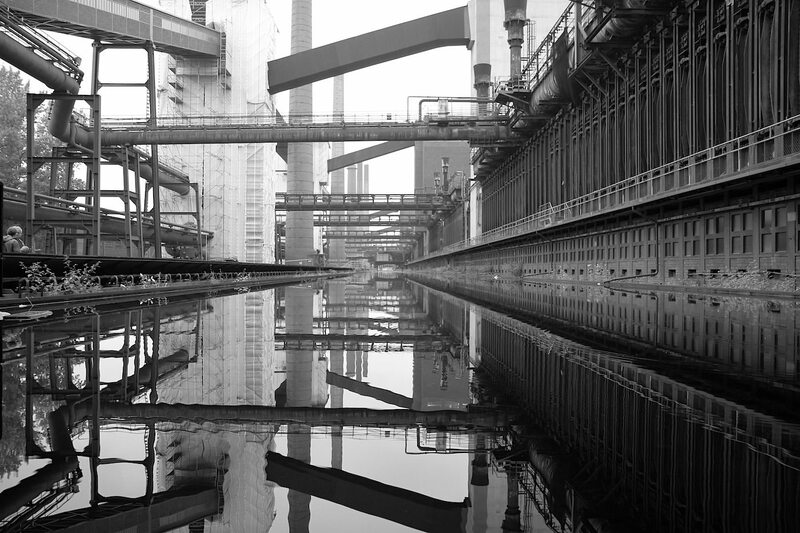 Schupp and Kremmer are the most important German architects of mining operations in the 20th century; Schupp planned 69 industrial areas in total. 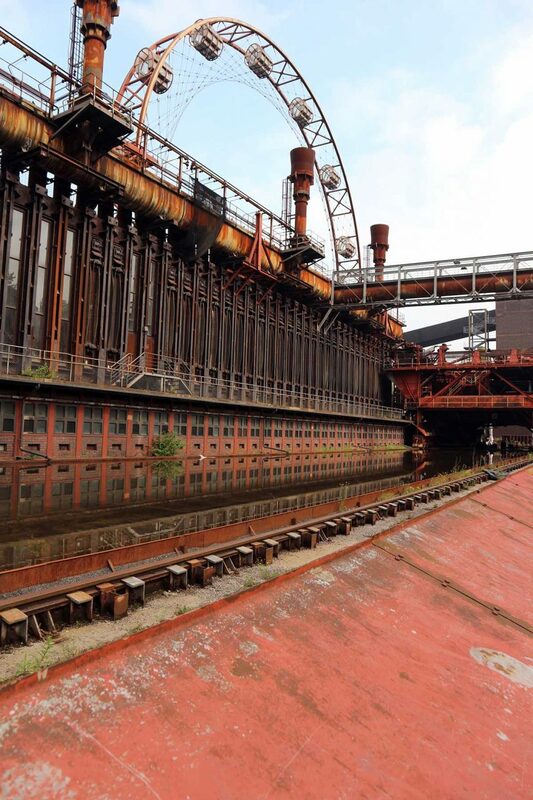 In 2001, the area (the “Zollverein Coal Mine Industrial Complex”) was chosen for the UNESCO World Heritage list. 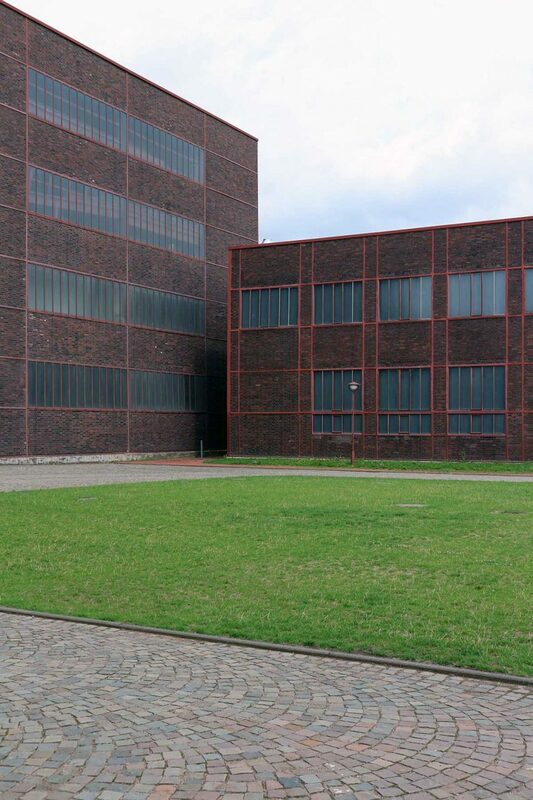 The conversion of the complex demonstrates the pioneering role of the Ruhr area. 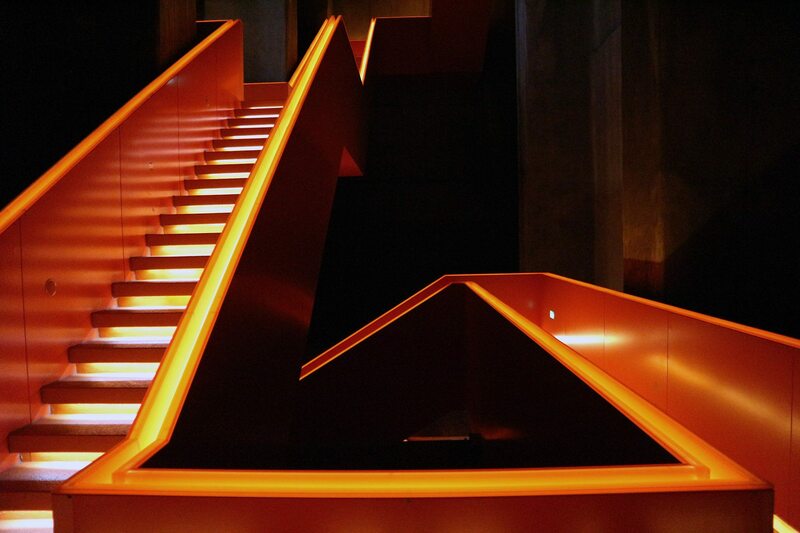 The second life of the Zollverein was also shaped by architects and engineers. Important conversions include the Kesselhaus (1996), which was built according to plans by Sir Norman Foster and the Essen office of Heinrich Böll and Hans Krabel. 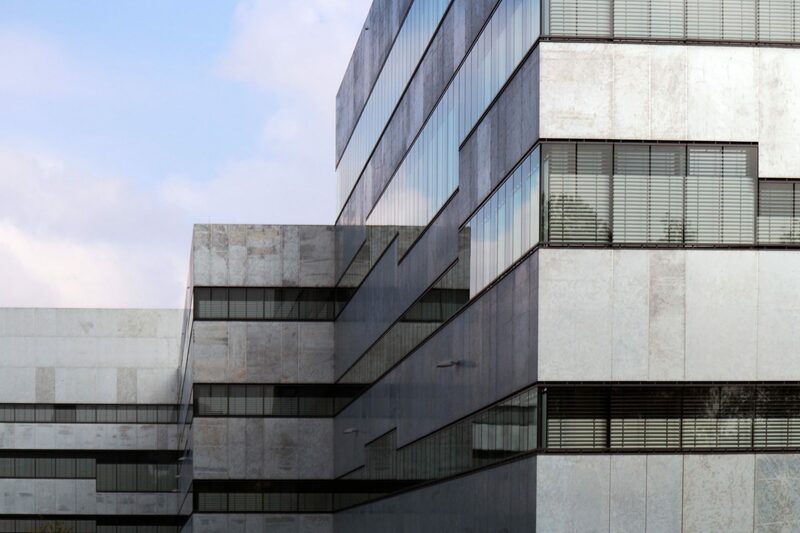 The result is an industrial architecture that brings together glass, concrete and steel steps, the old and the new. 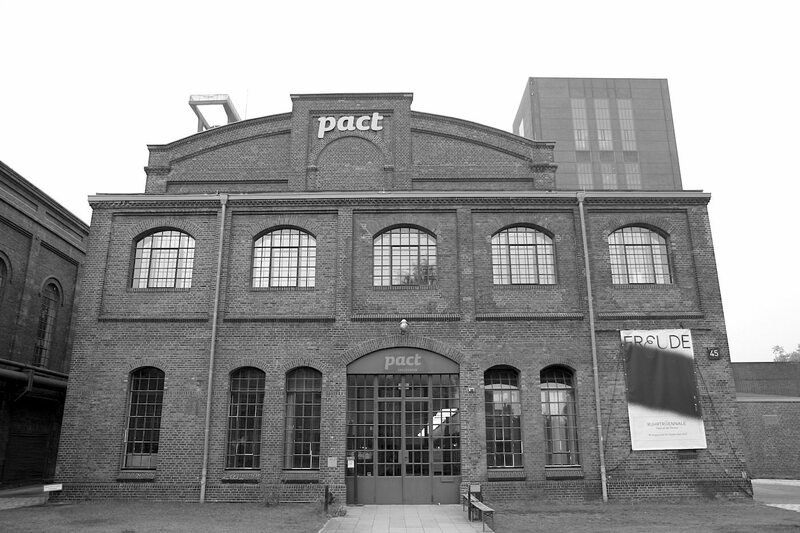 From 1999 to 2000, the Frankfurt architect Christoph Mäckler rebuilt this two-storey changing and shower facility as the North Rhine-Westphalia Choreographic Centre (today the PACT Zollverein). The project’s goals were restoration, conversion and reconstruction with minimal intervention, in order to retain the original substance of the place. 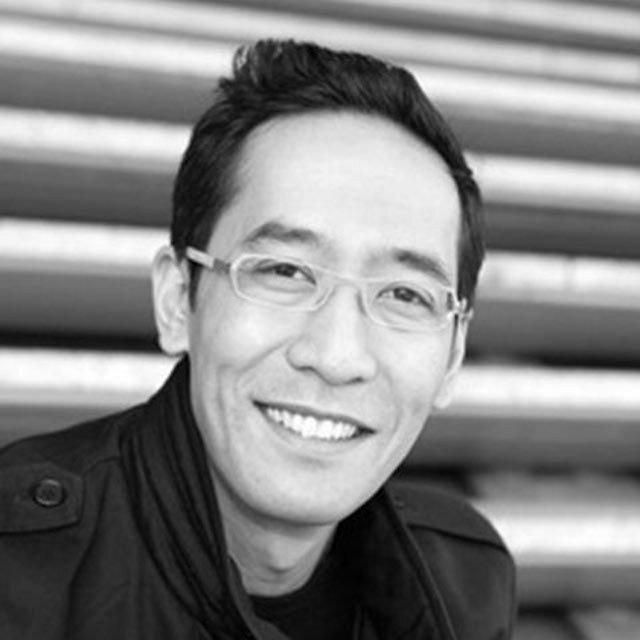 In 2001, the Rotterdam architect Rem Koolhaas, along with his Office for Metropolitan Architecture (OMA) presented the concept for further development of the area as a whole. The core of the master plan was to develop the area into a design and cultural hotspot, with new approaches and extensions that retain the effect of the existing buildings and redefine their functions. 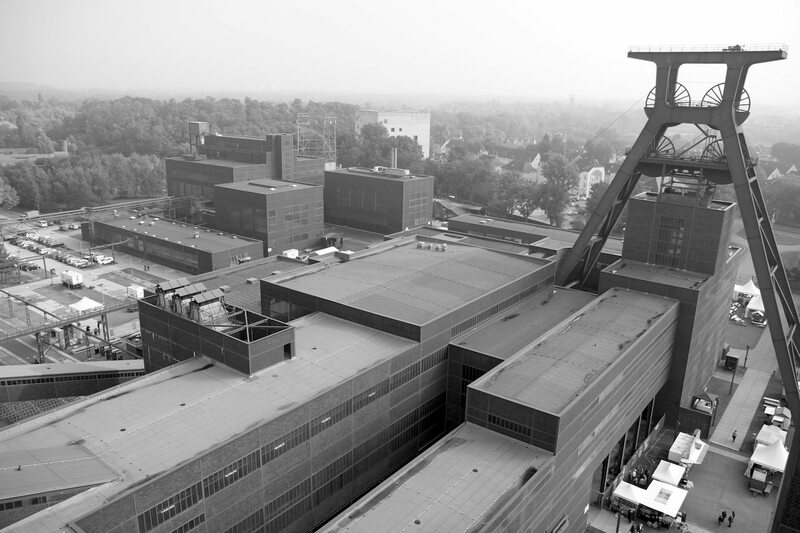 In 2006, the conversion of the coal washing plant was completed according to the design by OMA (with Böll and Krabel). 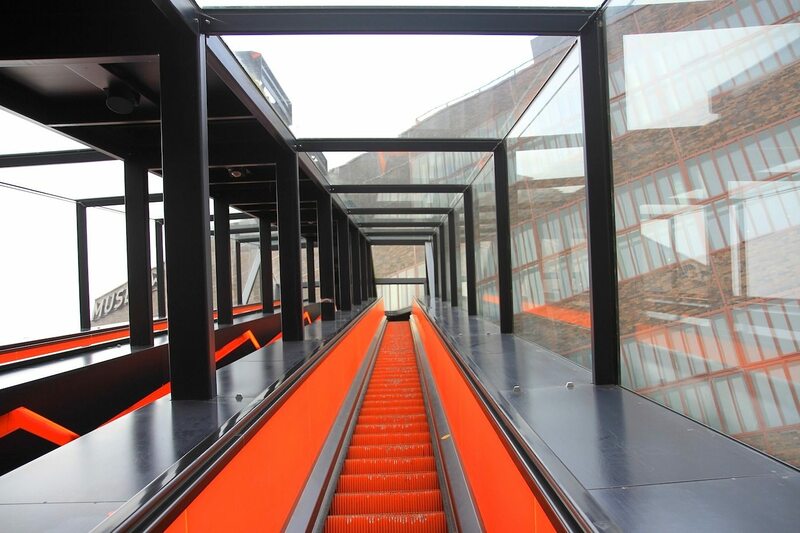 The most striking feature is the long gangway with the escalator by which visitors directly reach the entrance to the Ruhr Museum, 24 metres up. 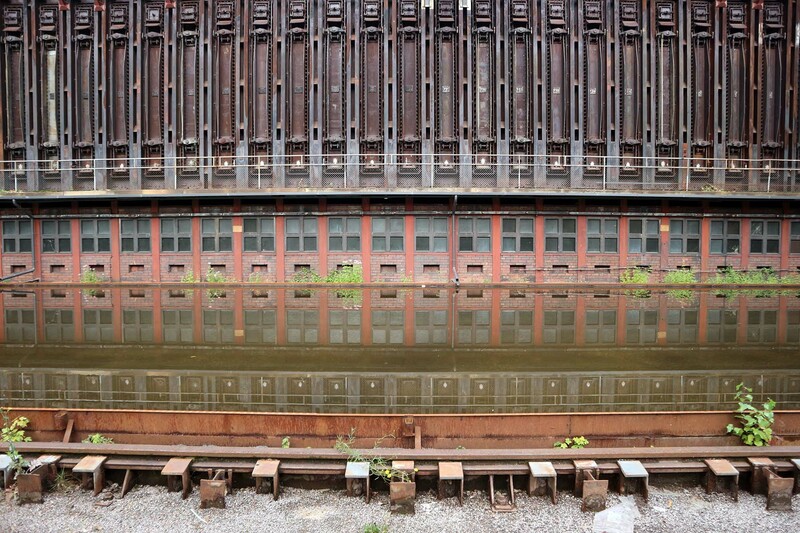 The coal washer is the largest building in the Zollverein, at 90 metres long, 30 metres wide and 40 metres high. The conversion of this complex above-ground building required compromises. 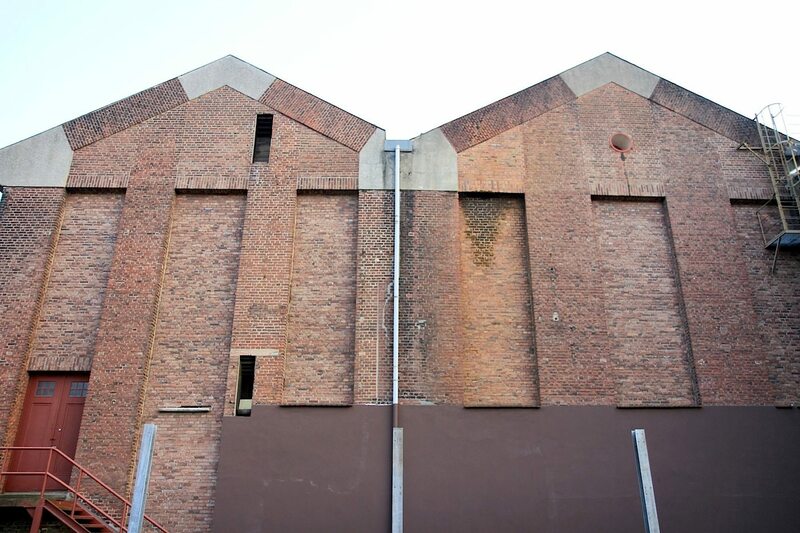 The machinery in the upper portion was largely retained and the façade was displaced outward by a few centimetres. With the key word “complexity,” we have arrived at our piece of advice: since this star-mine is a small city, a cultural cosmos and an architectural park, you should not over-plan your visit, especially when you come for the first time. The grounds span over 100 hectares. The Ruhr Museum alone, the showcase and memorial for the metropolitan Ruhr, shows 6,000 permanent exhibits on the natural and cultural history of the Ruhr area. 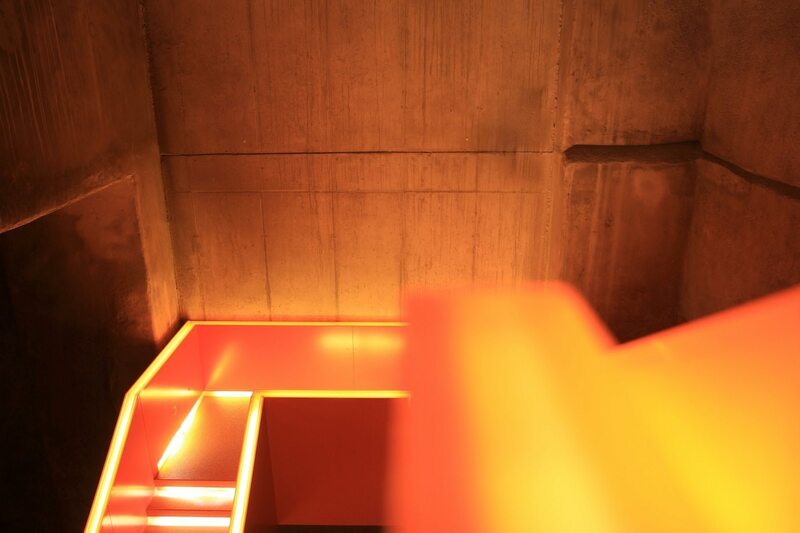 In addition to time for the extensive collection on industrial and social histories – with a comfortably subtle and, at the same time, idiosyncratic design by hg merz Architekten – you should give yourself ample leisure time for the interior design, and enjoy the red-orange illuminated stairwell in the raw coal bunker. 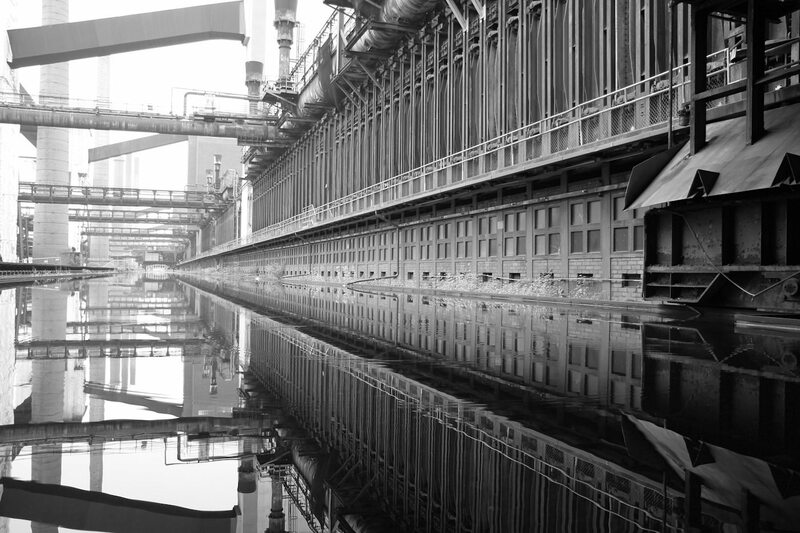 Another part of the gigantic coal washer is the Portal of Industrial Culture, where the panorama film “RUHR 360º” is shown, more a film-aesthetic experience than a documentary, yet still sensual and authentic. The best way is to concentrate on two or three points and buildings, and come back later. 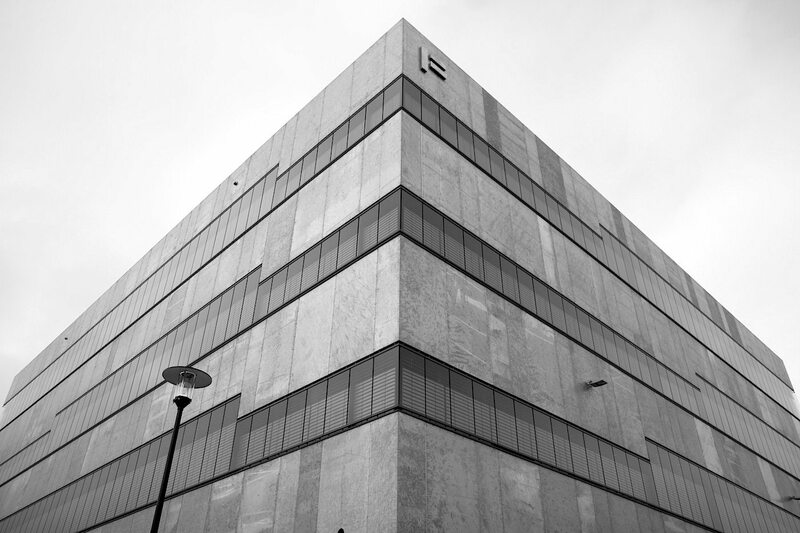 To visit three more buildings, for example: the 34-metre-high concrete cube of the Pritzker Prize-winners from SANAA (completed in 2006), with the playful-looking and seemingly randomly organised 134 window openings; the Quartier Nord, which opened at the end of October 2017, designed by MGF Architekten and Wenzel + Wenzel Freie Architekten with the hermetic glass-and-steel façade; and whoever, as a traditionalist, fundamentally likes no new buildings (or rather prefers reconstructivism), should visit the Zollverein Coking Facility, once the largest and most modern of its kind at its opening in 1961. Be careful, though, there are new elements here too: the factory swimming pool has been part of the art project “Contemporary Art and Criticism,” by the Frankfurt artists Dirk Paschke and Daniel Milohnic and a beloved swimming destination during the summer holidays in the NRW since 2001. You’ve got to have some fun. Even in the superlative. 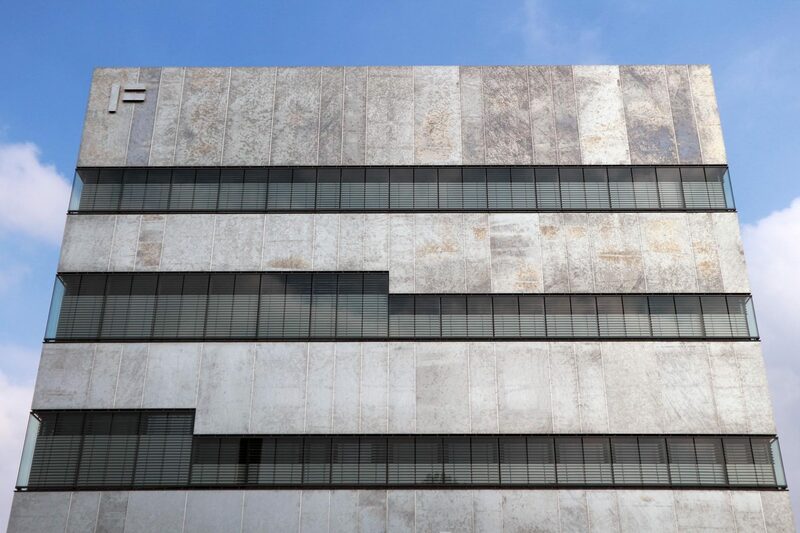 "Without knowledge of the history of a place, architecture remains merely on the surface and cannot take root." Von Jan Dimog Publizist und Gründer, veröffentlicht am 5. November 2017 . Zeche Zollverein UNESCO World Heritage Site. Gelsenkirchener Straße 181, 45309 Essen. Tel. : +49 (0)2 01–24 68 10. 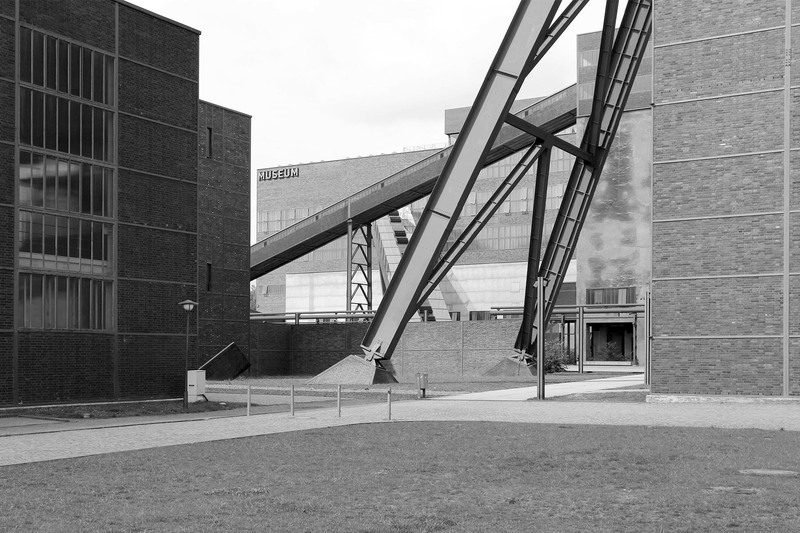 Zollverein Coal Mine is a masterpiece of industrial architecture, created by Fritz Schupp and Martin Kremmer. Until 1986, a total of 240 million tons of coal had been produced, up to 8,000 miners worked day and night above and underground. Today, the industrial monument is a dynamic cultural location with museums for industrial heritage and design, numerous leisure activities and events. The famous pit head gear impressively represents the change of a whole region. 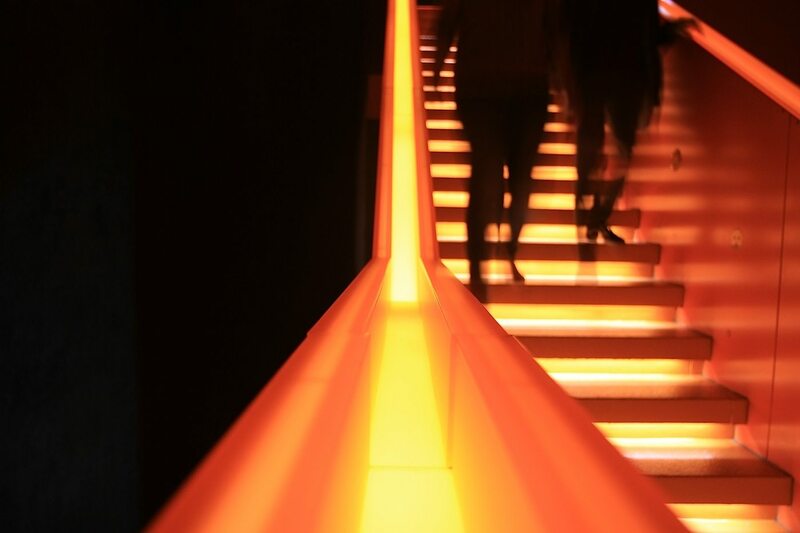 About 1.5 million guests from all over the world meanwhile visit the site every year to experience the exceptional industrial architecture, participate in guided tours, visit exhibitions, celebrate festivals or relax in the Zollverein Park. 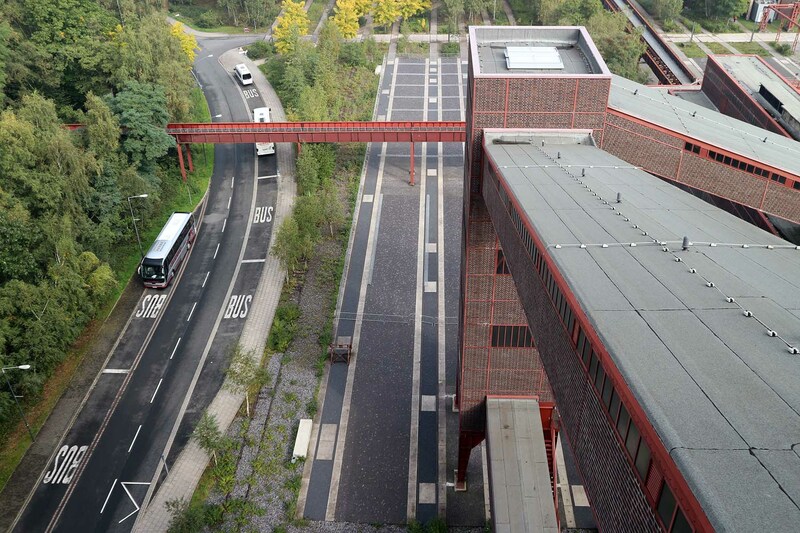 Ruhr Museum Address: Zollverein A 14 (Schacht XII, Kohlenwäsche), Gelsenkirchener Straße 181, 45309 Essen. Tel. 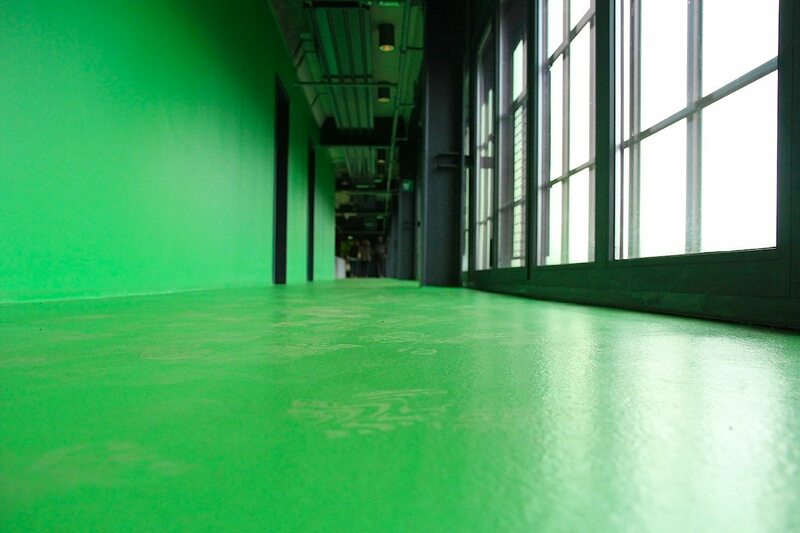 : +49 (0)201 24681444, E-Mail: info@ruhrmuseum.de. Opening hours. Tue–Sun: 11 am–6 pm, Monday: closed. 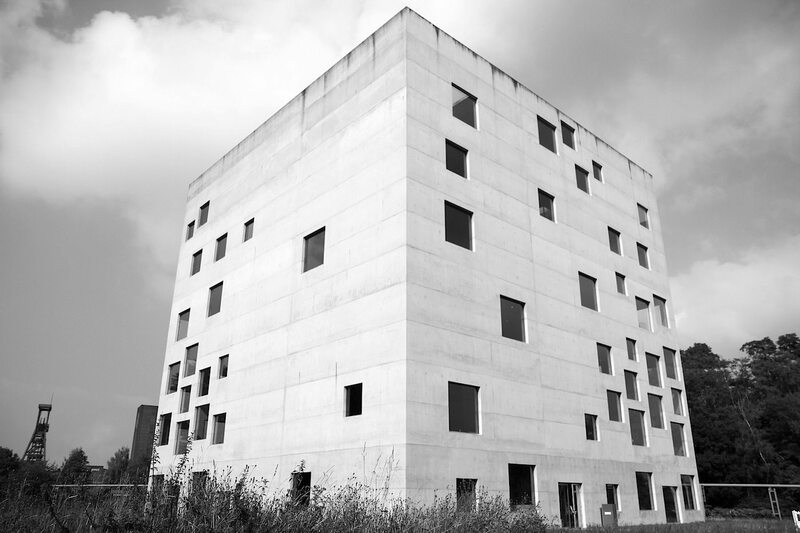 The Ruhr Museum is the regional museum of the Ruhr Area. Is opened in the year of the Capital of Culture RUHR.2010 in the former coal washery of the Zollverein colliery. In its permanent exhibition on three levels it relates the entire natural and cultural history of the Ruhr area. 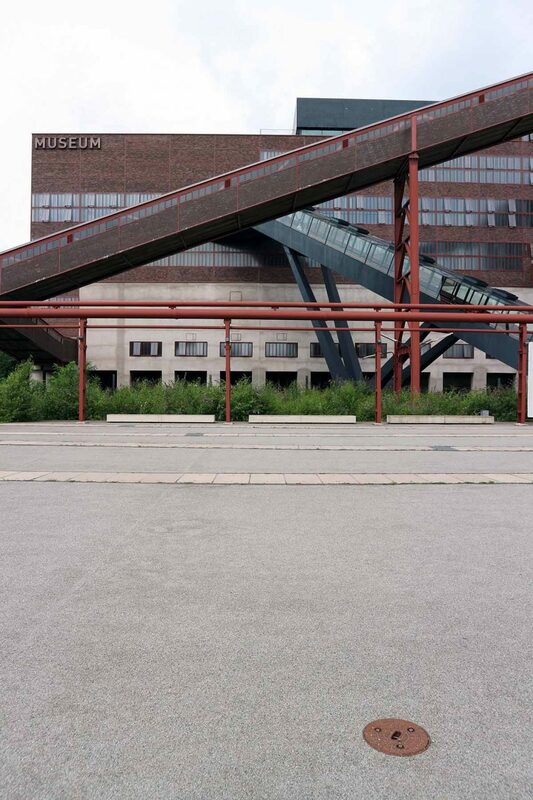 The Ruhr Museum has already become one of the top places of interest in the Metropolis Ruhr and is included as a tour highlight for many group tours and coach trips through the Ruhr area. 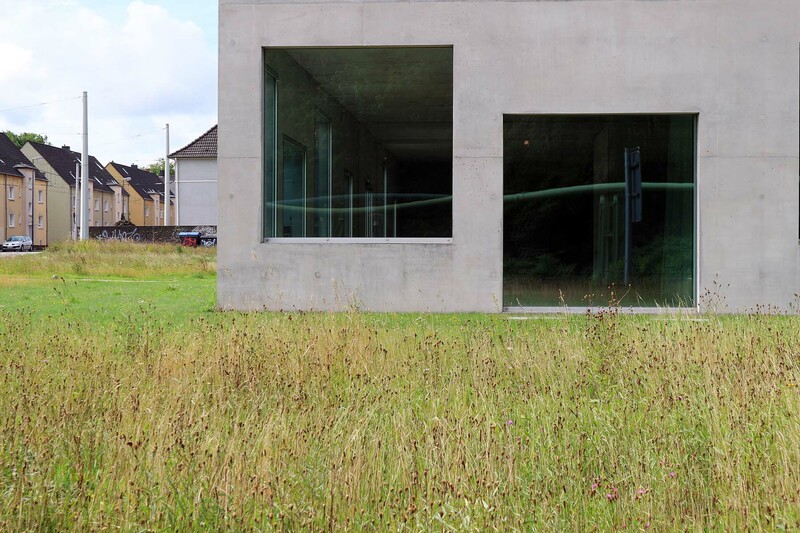 Visitors experiencing the Ruhr area on a city break and who wish to learn find all important information on the region in the Ruhr Museum in a concise and easily comprehensible presentation, designed by the renowned practise hg merz. The cultural significance of the listed building complex led to a sensitive and creative handling with the found spaces filled with historic machines. 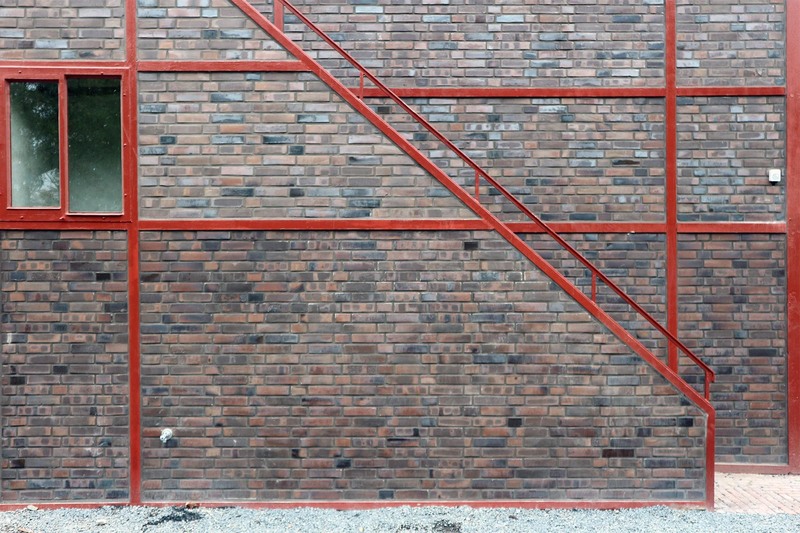 Rather than competing with the building, the exhibition unfolds a distinct character. A lucid guiding system and an intuitive physical structure was the objective of the concept. 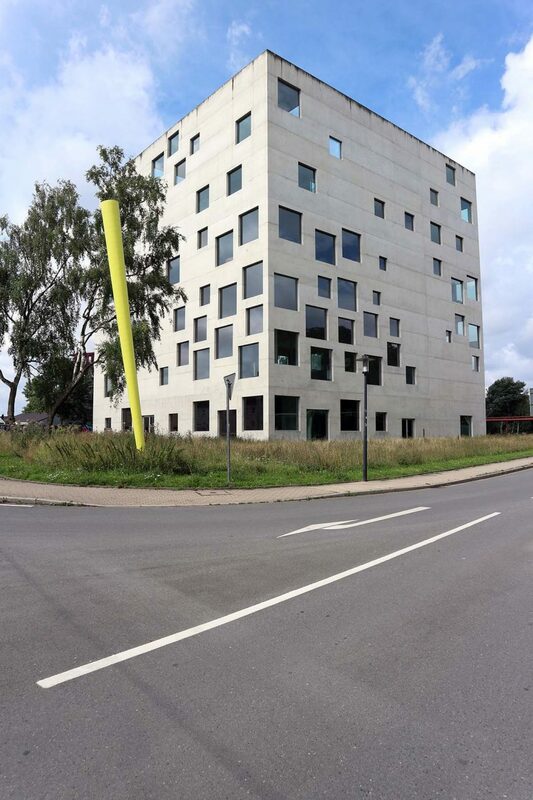 The result is a museum that is as unique as its building. On three spectacular levels, the permanent exhibition illustrates the present of the Ruhr Metropolis, the pre-industrial memory as well as the dramatic history of industrialisation and structural change in the Ruhr area. Red Dot Design Museum Gelsenkirchener Straße 181, 45309 Essen. Tel. : +49 (0)201 3010425, E-Mail: museum(at)red-dot.de. Opening hours: Tue–Sun 11 am–6 pm. 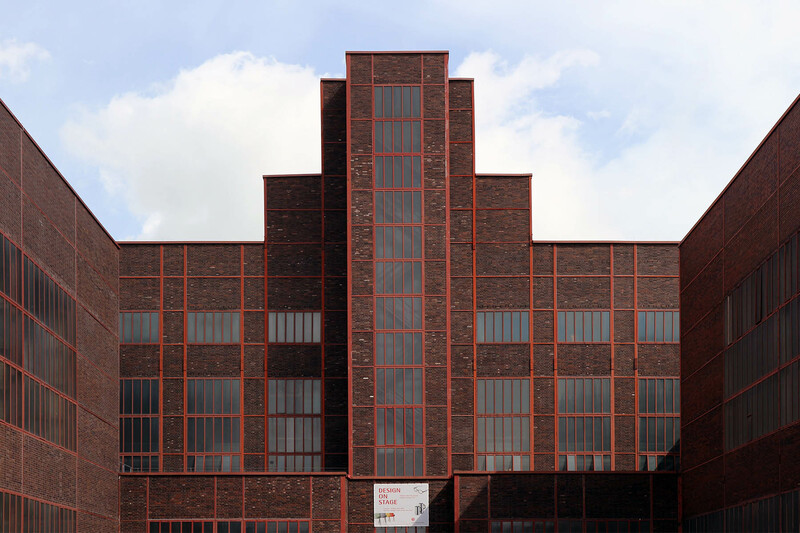 The former boiler house was designed by Fritz Schupp and Martin Kremmer based on the philosophy of Neues Bauen and completed in 1929. 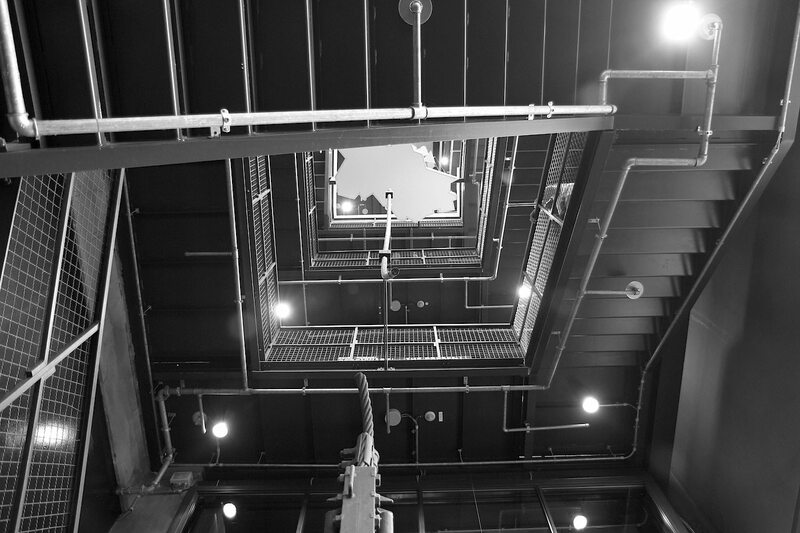 The building is a three-aisled steel truss construction has a distinctive stair tower and was renovated by Norman Foster in 1997. The Red Dot Design Museum, with more than 1,500 exhibits, is believed to be the largest exhibition of contemporary design in the world. 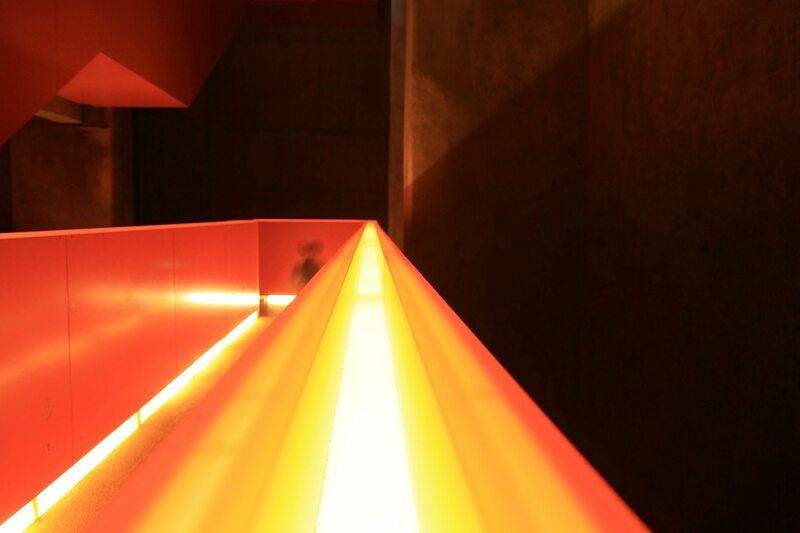 A particularly impressive characteristic is the interplay between the design exhibit and the historical building at the Zollverein World Heritage Site in Essen. Over an exhibition space of over 4,000 square metres, only current products are displayed. What makes this exhibit different from other everyday articles, however, is a very special characteristic: good design. 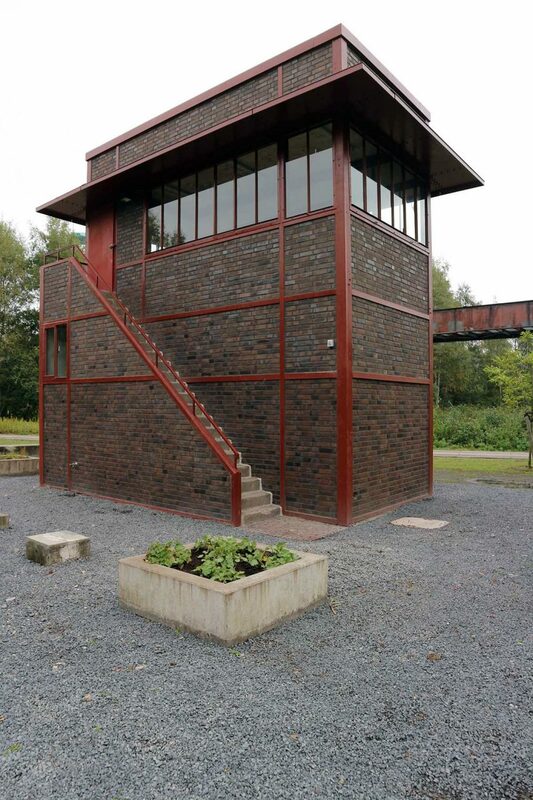 Neues Bauen Also 'Neue Sachlichkeit', meaning New Objectivity or New Sobriety, avant-garde architecture in Germany in the 1920s and 1930s, associated with new architecture, especially of the International Modernist style. The style remodelled many German cities in this period. The architects of the New Objectivity were eager to build as much cost-effective housing as possible, partly to address Germany's post-war housing crisis, and partly to fulfil the promise of Article 155 of the 1919 Weimar Constitution, which provided for "a healthy dwelling" for all Germans. This phrase drove the technical definition of Existenzminimum (subsistence dwelling) in terms of minimally-acceptable floor space, density, fresh air, access to green space, access to transit, and other such resident issues. Architects used mainly glass, steel, concrete and brick for their designs. Main representatives were Le Corbusier, Adolf Loos, Walter Gropius, Otto Haesler, Hugo Häring, Erich Mendelsohn, Ludwig Mies van der Rohe, Gerrit Rietveld, Hans Scharoun, Bruno Taut, Max Taut, Ernst May, Mart Stam, Alvar Aalto, Pier Luigi Nervi und Jörn Utzon. 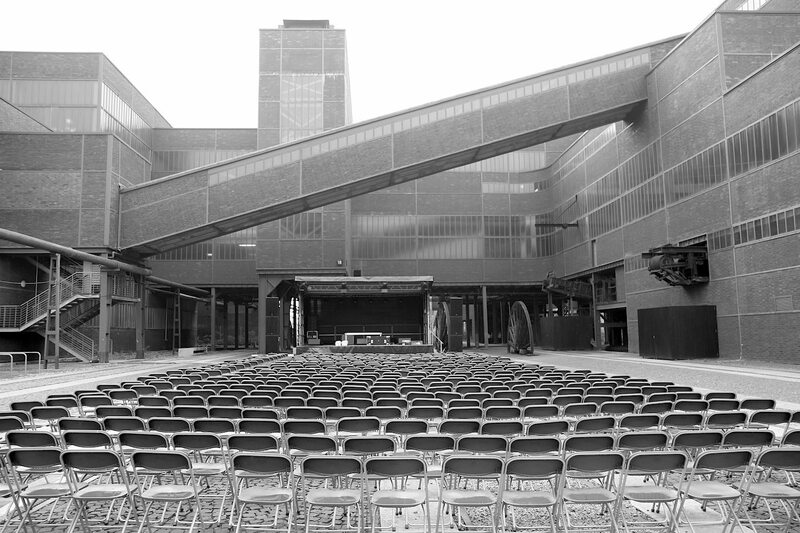 Fritz Schupp and Martin Kremmer designed Zollverein in the style of Neues Bauen. 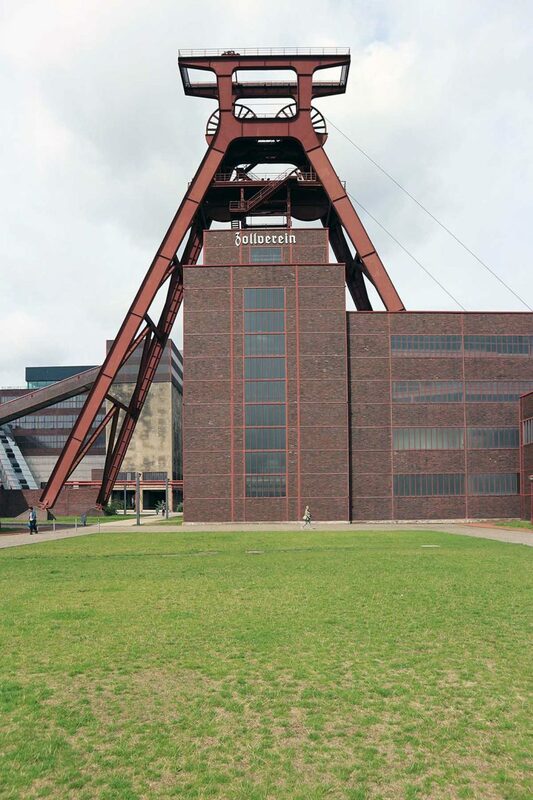 They are the only German architects whose buildings had two world heritage site listings in a row: the Rammelsberg Mine in Goslar – a world heritage site since 1992 – and the Zollverein Coal Mine, a world heritage site since 2001.